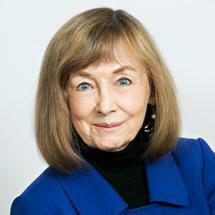 Nancy joined Weber & Nelson Law Office in 2010, as a partner. Her areas of practice include health law and health professional licensing issues with Minnesota boards including the Board of Nursing, Medical Practice, Pharmacy. She also does business law including business formation, drafting & reviewing of contracts including for mergers and acquisitions, and employment law. Nancy has vast experience in federal and state health law from her work done with UnitedHealthcare (UHC). She began as an associate general counsel at UHC working with various HMOs, and later became the attorney for the pharmaceutical company, the behavioral health company and the medical services division where high-level medical decisions were made. Nancy also has a Master’s in Public Health and was a nurse practitioner. She continues to practice as an RN 10 hrs/week to maintain a current perspective on health care issues. Nancy graduated from William Mitchell College of Law with honors, where she was in law review and moot court and where she and her law school partner took first place in client counseling in the Twin Cities, regionals and sectionals and second place at nationals.